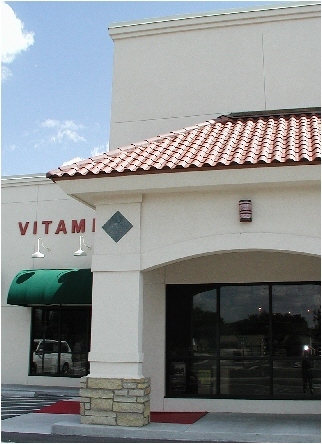 New retail building for “customer friendly” marketing & sales of vitamins & food supplements. The open sales area brings a feeling of “freshness” & health by using accents of wood, bright colors & a flood of natural light. The adjoining “Strawberry Fields Cafe” offers delicious health conscious alternative foods in a dynamic & bright deli venue.